"There is much to worry about in the mutated world of the future, but Baron Jemmas, Warder of Horn, has more on his mind than most. In recent weeks several of the outlying towns of his Barony have been wiped out by a band of mysterious golden marauders. These creatures struck from nowhere and vanished without a trace when their deeds were done. The Warder has decided that they must be stopped before the entire Barony of Horn falls beneath their onslaught, and so he is offering a great reward to anyone who can defeat the Legion of Gold." Turn your way back machines to the year 1993 a year after a run away planet hurled between the Earth & the moon! Mankind's creations were cast into ruins! Alright not really but one of my AD&D campaigns was. Vampire The Masquerade had taken a huge bit out of my local gaming groups. 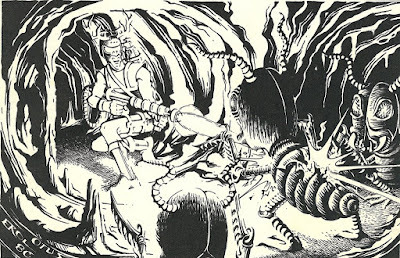 At the time I was running a mixed AD&D first edition & Gamma World game. Gamma World campaigns at the time & to some extent is a mix of many of the editions. While purists will argue me to the ground this is how a lot of Gamma World DM's often do things. 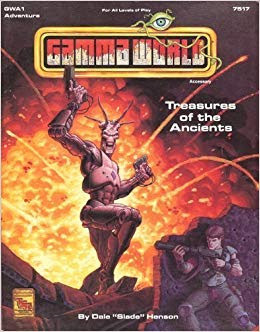 Gamma World Fourth edition's Treasures of the Ancients had hit the stands & in my little corner of Connecticut it made quite the stir. Among the Gamma World crowd it had all of the modular add ons & what not for the personal power armor. All of this glued into the Gamma Knight's game supplement. But now another friend's Greyhawk AD&D first edition game broke down into fighting over the usual 'big game power struggles'. You run with too big of a group of players & this happens. So suddenly I got tapped to run a group of players into a Greyhawk style AD&D game with six players whist I was getting to run my own Gamma World mixed edition game?! What the hell was I supposed to do? Two things happened that saved my behind back then. One was an interview that I read on a Wednesday about Gary Gygax in which he talked about his home game setting of Greyhawk. 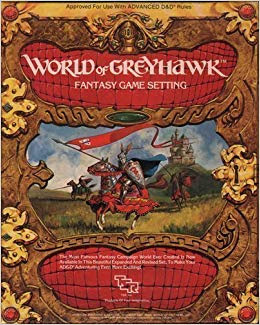 During said interview with Gary Gygax he talked about the process of creating the world of Greyhawk & the Greyhawk wiki entry has essentially the same information ;"Gygax continued to design and present the dungeons and environs of Castle Greyhawk to his circle of friends and family, using them as playtesters for new rules and concepts. As the players began to explore more of the world outside of the castle and city, Gygax developed other regions and cities for them. With play sessions occurring seven or more times a week, Gygax didn't have the time or inclination to create the map for a whole new world; he simply drew his world over a map of North America, adding new cities and regions as his world slowly grew through ongoing adventures. The city and castle of Greyhawk were placed near the real-world position of Chicago, his birthplace; various other places were clustered around it. 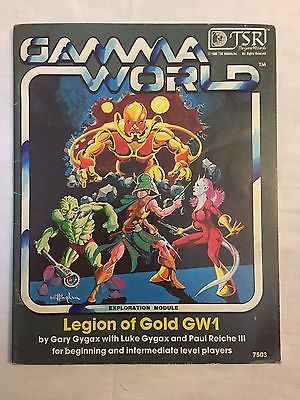 For instance, the rival city of Dyvers he placed in the area of real-world Milwaukee"
GW1 Legion of Gold adventure takes place in essentially the same areas as Greyhawk & with a bit of creative hand waving it became the campaign setting for this Gamma World game campaign. Legion of Gold can be played as one straight solid adventure or it can be come as series of linked adventures! . Gary Gygax & Luke Gygax & Paul Reiche III Legion of Gold has several advantages for campaign play it shows the DM how to create & interlink a campaign setting together using the point crawl or encounter crawl method. The mix of fantasy & science fantasy elements in the Gamma Greyhawk campaign was the most successful game campaign I've had to date. She ran on & off for five years of near constant play on weekends across the backrooms of hobby shops & book stores across Connecticut. 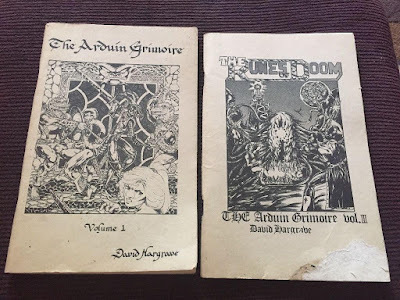 To help flesh out the city states of certain areas & backwaters I used David Hargrave's Arduin Grimoire series of books. There were several RIFTS players who came regularly & we got complaints from one of the local game/comic shops because they couldn't maintain their in house game. We had player's PC's crossing over into our regular AD&D Greyhawk campaign setting & vice versa. But many player characters were shredded in this game campaign. Death was a regular occurrence but no one minded & we had a great time with it. These days if I was to do something with this campaign I'd probably use Mutant Future & a few other OSR resources but this past weekend I got together with some of my old players and we talked over old times so perhaps? !